Apple said it wanted to "prolong the life" of customers' devices. 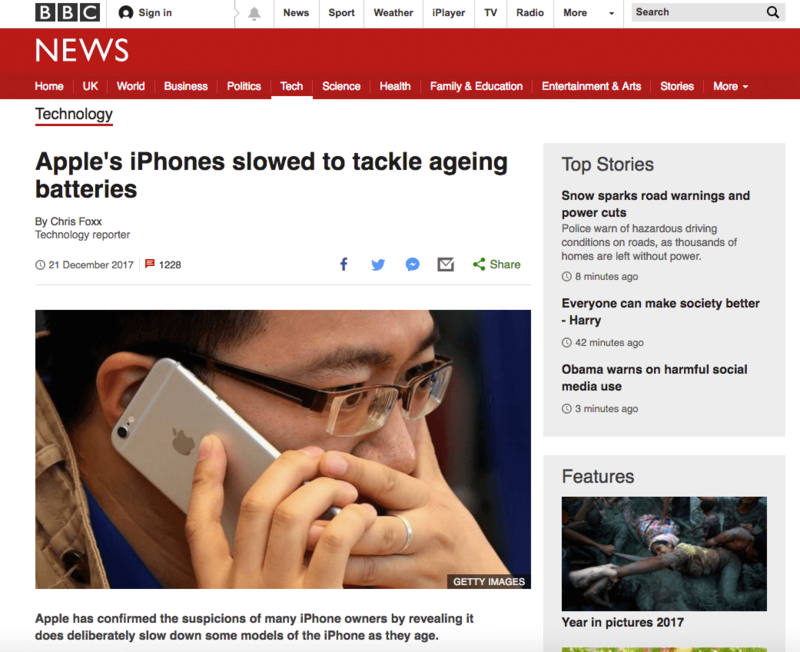 By now, most people will have seen the news that Apple are slowing down iPhones if the battery life is low. That's not the same as low-power mode, which comes on if your battery level reaches 20%. This is different. It permanently slows down the iPhone so that it is much slower than it should be. We've written about iPhone batteries before and why they need to be replaced. But to summarise; iPhone batteries, and almost all other smart phones and laptops use a battery technology called Lithium Ion. When you charge a battery, lithium ions move through the battery. Each time they do this, they are not as efficient as the previous time. That means that you are not getting a 100% full battery each time. Each full charge is called a charging cycle. In an iPhone the battery is designed for 500 – 1,000 cycles. In reality, anything over 500 is not good. You come across all kinds of issues, including iPhones turning off at 20% battery, or getting really hot, or just not lasting all day. Why does Apple slow down iPhones? The good news is that iPhones randomly turning off is less common now. It used to happen a lot with the iPhone 5s. 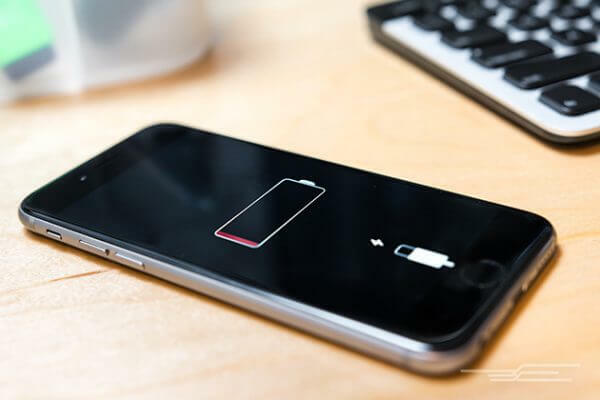 Apple worked out that if a battery is over 500 cycles, they could slow down the iPhone to get more power from the battery. It prevents a lot of the issues. But you end up with a slower iPhone. And not just a little bit slower, benchmarks have shown that it can be less than half as fast as it was on day one. I can understand why Apple has done this, but the fact that they didn't make a big deal about it – some would say hid it – makes it feel a little underhand. If you replace the battery in your iPhone it gets fast again. Plus you get more battery life. So it's a win-win situation for you. At the time of writing (December 27, 2017) Apple charge £79 for an new iPhone battery. There is no discount for getting the battery replaced at the same time as a screen repair. SimplyFixIt are able to do battery replacements for only £29 when it is done at the same time as a screen repair. 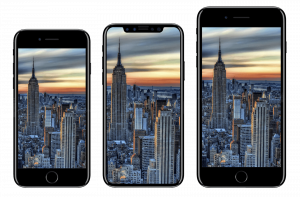 If you thought that your iPhone 6s was getting slow, and you were nearly ready to get a new iPhone, you can save hundreds of pounds by following these 3 steps. Replace the battery in your iPhone. 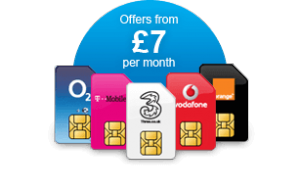 Change your contact to a sim-only deal – there's lots out there between £5 and £20 a month. For the best deal you should unlock your iPhone too, but if you're happy with your current network, just ask them what their SIM deals are. Save money with a faster, cheaper iPhone. If you were planning to get a new iPhone on a £40 a month contract, but you can use a £10 a month SIM deal, you will save £720 over the 2 years of your contract! 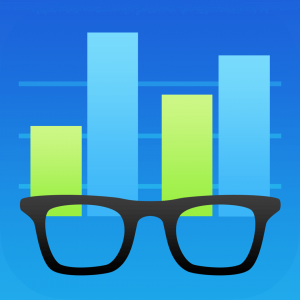 iPhone 6 slows down by 28% after just 4 months use. 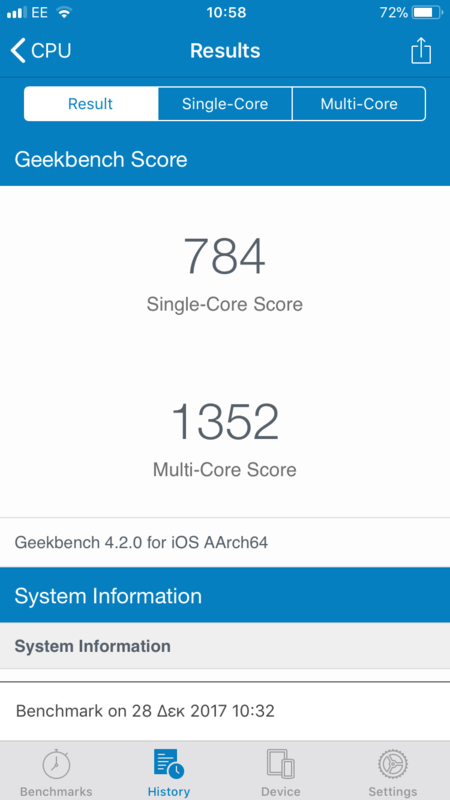 During benchmarking tests we have found that the iPhone loses 28% of its performance after just 140 charging cycles. That's 4 months use for most people. Batterygate has just got worse for Apple. Do I need a new iPhone or a new battery ? If you are not able to visit one of the SimplyFixIt repair centres, you can now post your iPhone to us and get a repair done FAST. Return delivery is FREE. Save over £300 on your iPhone contract by switching to a cheap iPhone SIM-only deal. You can run an iPhone from as cheap as £7.50 per month.